As seen on BrooklynVegan, Death Grips (MC Ride, Zach Hill, Flatlander) will follow up 2011’s excellent Exmilitary mixtape with two LPs- The Money Store (April 24), No Love (Fall of 2012) -both set to arrive via the trio’s new home, Epic Records. Speaking of Death Grips-releases, they recently put out a series of 109-GIFs, RETROGRADE, that are all meant to be played simultaneously. Intrigued? Visit BrooklynVegan for a bit more information on it. 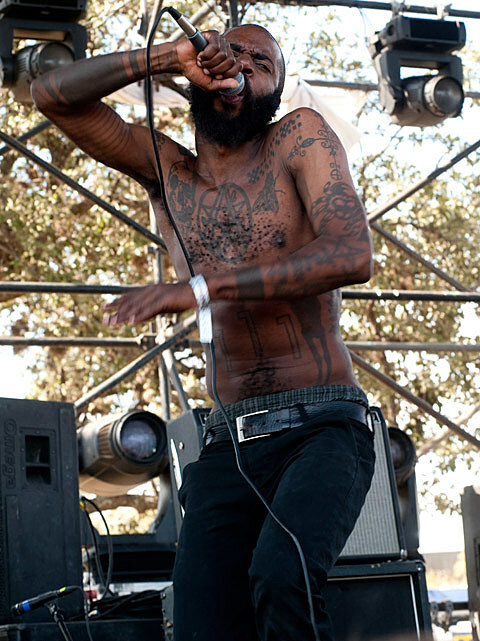 In just a few days, Death Grips will play three-California shows (two are the Cochellas). Beginning in May they’ll tour throughout Europe, returning to the states in June for a string of North American dates. One of those shows happens to be their Chicago debut, on June 20 at the Bottom Lounge. Ticketing info is forthcoming. All known 2012 tour dates, some videos, and song streams, below..